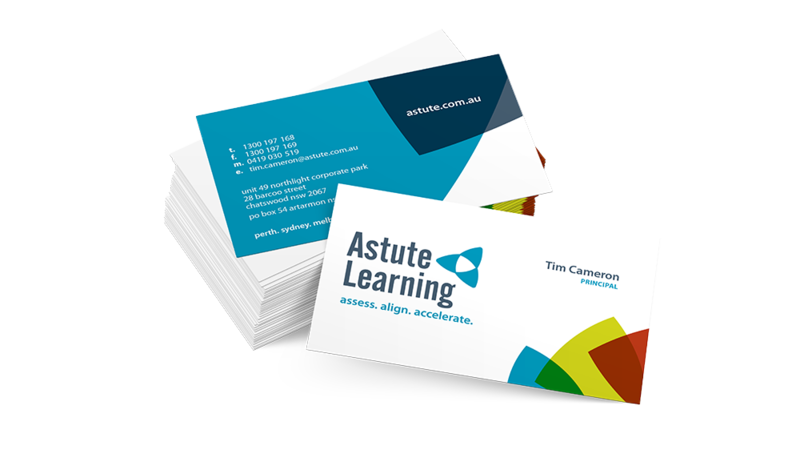 Since 2006, Astute Learning has engaged Platform on a number of projects including developing change management and communications plans, designing training manuals and workbooks, and most recently rebranding the Astute Learning identity. Platform’s graphic design team took the original Astute brand and designed fresh brand concepts reflective of the company’s desired future direction. Astute’s aim was to create a look and feel which encompassed the company’s services and core values, focusing on supervisory and leadership skills development. The Platform graphic design team has been applying the Astute brand across marketing collateral including a corporate brochure, business cards, PowerPoint template, website and case studies. Platform’s communications team worked closely with Astute throughout these projects to ensure the message reflects their new corporate profile. Led by Director Tim Cameron with over 25 years’ experience in organisational development, Astute provides clients, such as St Barbara Gold Ltd with customised learning and development programs supporting operational change, with an emphasis on supervisory and leadership skills development in the resource industry.